I’ve lately been feeling conflicted over something I never thought I would – my beloved Star Wars. The question I’ve been asking myself is, when do we cross the line into there being too much of a good thing? I grew up watching the original trilogy, and was thrilled when Lucasfilm announced the next set of three movies while I was in junior high. I saw Star Wars: Episode III – Revenge of the Sith at a midnight premiere in college, and was back in the theatre in the middle of the night ten years later for Star Wars: The Force Awakens. I adored Rogue One: A Star Wars Story, and for the most part, I enjoyed Star Wars: The Last Jedi, though I had issues with a few things. Now here we are, on the verge of Solo: A Star Wars Story, which hits theatres next week. It’s the 10th film in the franchise, unless of course you count the two made-for-TV-movies about the Ewoks from the 1980s. Is it all too much? Should we leave this universe in the rear-view mirror and set our minds to more important tasks, like building our own Millennium Falcon so we can eventually beat Han Solo’s record for the Kessel Run? I don’t know. Part of me feels that it’s good to keep this world alive, so we can include new fans who had the misfortune of being born after the initial heyday, while I’m also afraid that it’s all just a big cash grab now. Truth be told, I’m probably going to go see this new movie, so obviously the magic is still there, at least for me. The one thing I can say with authority is that the Star Wars world fits in perfectly with the 3D printing world. 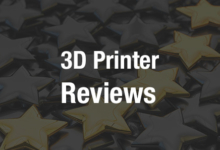 From toys and themed prosthetics to wine corks and quadcopters, you can 3D print just about anything related to Star Wars; it’s even inspired real scientific experiments. In 2016, Nissan also got Star Wars fever, and came out with the Nissan Rogue: Rogue One Star Wars Limited Edition, described by the company as “the closest you’ll ever get to sitting in the cockpit of a starfighter.” Each car also came with a limited edition, 3D printed Death Trooper helmet replica. In support of the new movie, and in celebration of Star Wars Day earlier this month – May the 4th be with you! – Nissan North America, as part of its collaboration with Lucasfilm, has introduced a one-of-a-kind Nissan Rogue show car inspired by the latest version of one of the fastest ships in the galaxy. The unique crossover car is completely customized to look like the cockpit of the Millennium Falcon itself. There’s a set of center-mounted “hyperdrive” controls, and even front and second row chairs like the ones inside the iconic ship. The exterior of the vehicle features 3D printed inserts, which give the project depth, and custom, handcrafted aluminum body panels feature details that mimic the Corellian ship. The roof features a mounted radar dish and a realistic laser cannon – yes, you read that correctly. The multi-pane windshield is a callback to the one on the Millennium Falcon, and the SUV also features a sweet, 1,500-watt sound system, complete with three high-mounted Bose speakers and an 18” Bose subwoofer. Additionally, the subspace-hyperdrive unit runs the width of this tricked out Nissan Rogue, and even glows blue. Nissan partnered up with concept artists at ILM and Lucasfilm to design and develop the Millennium Falcon-inspired Nissan Rogue show car, while custom fabrication took place at Vehicle Effects in California. Unfortunately, this delightful car is only for show, and not for sale. So as much as you may, like me, wish for your very own Millennium Falcon, you’ll just have to make do with the latest version of the onscreen starship, which you can see for yourself when Solo: A Star Wars Movie comes out on May 25th. As always, may the force be with you, no matter your thoughts on how full the franchise may or may not be. 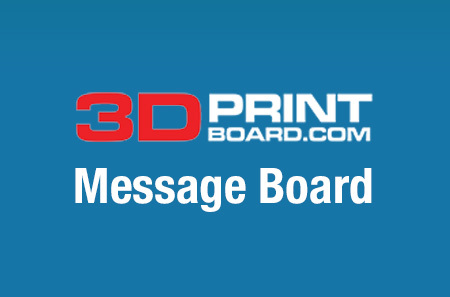 Discuss Star Wars, and other 3D printing topics, at 3DPrintBoard.com or share your thoughts in the Facebook comments below.